What should you consider when designing your roof terrace? @ListerGlassUK #Epsom give you tips and advice. Space in the UK now has become a premium and sometimes the only way to expand your property is to go upwards. Around 20 per cent of households live in flats with no garden or balcony space. If you are not keen to construct a loft extension or don’t want to necessarily build upwards but outwards, then a roof terrace is ideal. • Are you planning for children or pets to use the space? • How much time will you spend on the roof terrace in general? • How can you make sure you get the most out of the views around your property? • How will the terrace be accessible? • What kind of lighting will be used? • What kind of balustrades will be used? Privacy and Permissions - Privacy is the most common reasons that planning permission will be denied. If your roof terrace looks over a neighbour’s property, then you will have to come up with a solution that will block the views. One way to obstruct the views into your neighbour’s property is to use frosted glass balustrades or privacy screens. 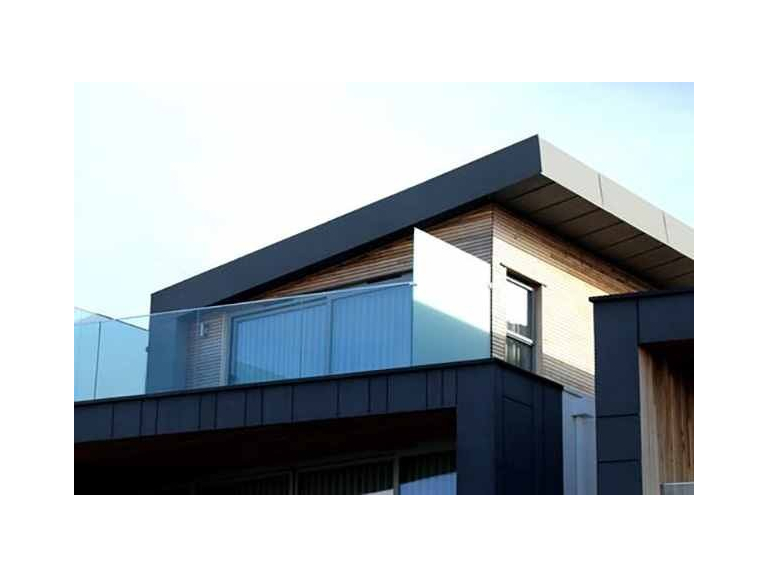 Same Level Access - This type of access is usually from an extension where a single-story extension has been added to the property and the flat roof extension is transformed into a terrace. Access to this type of terrace is simple with terrace doors that can be built into existing walls. Stair Access - If the terrace is directly on top of the rest of the house then stairs will be installed to provide access to the terrace. A lot of people opt for a rooflights as an alternative access point as it creates the vertical space for the staircase. Wire Balustrades - Another thing to consider when choosing your balustrade is wire versus glass. A wire balustrade allows for full airflow and only slightly obstructs the views. Wire balustrade is quick and easy to install, and maintenance is easy as they only need periodic cleaning with a stainless-steel cleaning cloth. Glass Balustrades - A glass balustrade will restrict airflow however they do offer unrestricted views in daylight and allows in natural light. If you come across privacy issues, then glass is a great solution as you have option of using frosted glass to ensure that you get the required planning permissions. Glass balustrades need to be installed by a qualified professional and cut to the correct size. Maintaining glass can be more high maintenance than wire as it needs regular cleaning unless it has been pre-treated.